With Summer Vacation coming up I am sure you might be thinking about family vacations right? Do you have the right kind of luggage? Atlantic Luggage has you covered with the perfect luggae for the entire family! Atlantic® luggage, known for it's durability, light weight and affordability is perfect for families on the go. In fact, Atlantic has been pioneering great luggage since 1919. My family and I are already thinking about our next vacation.Packing for our trips are always the hardest thing, I think if all of us had matching luggage it would be a lot easier for us. Pls it would all look nice together. 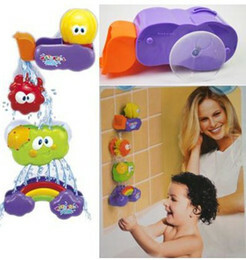 We could stack them easily in the car, PLUS they are affordable. I really like the Odyssey Lite Spinner Luggage and the Lumina Carryon. It has a ten year warrenty and a ABS shell coated with a polyurethane satin finish so you know your stuff is not geing to get smashed or broken. I would love for us all to have these as matching luggage. They also have a lot of optionsfor carry on styles too. Prices range so they are affordable to all budgets plus the luggage is quality made so you know it wont break dwn duing travels. 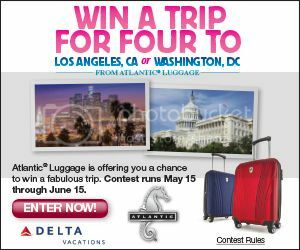 Be sure to also enter to win a family trip for 4 From May 15 through June 15, Atlantic is offering a chance to win a fabulous Delta Vacations family trip for four (4) to Los Angeles, California or Washington, DC, the choice is yours. So hurry and enter to win! If I won I would want to go to Washington DC with the faily! We plan on visiting Florida this summer. I’ve been entering this every day. Thanks. This would be nice! My luggage is looking pretty rough. I’d like to win a trip and new luggage. I would love some new luggage! I’ve been entering this trying to win a trip to DC! This is such an awesome giveaway! I would love to win this luggage! another great giveaway-maybe if I win I can plan a vacation! 10 year warrenty is really nice! Plus I agree, I think your family traveling together with the same luggage will help and look very good. I’ll take a trip to New Zealand. I love that these are affordable with different prices! This is wonderful. This luggage would make traveling easier. This is such an awesome giveaway and also I love that the luggage comes in a variety of colors for people to choose! I’d like to go to San Francisco. I really like this luggage a lot! It’s so neat! I’d like to go to New England for the fall colors. I woulld love to go to Disneyland! These are so nice! Would make a great giveaway! What a wonderful sweepstakes. I would love to have a vacation anywhere where it is warmer than where I live. Thank you for sharing. I would love a trip to Los Angeles.